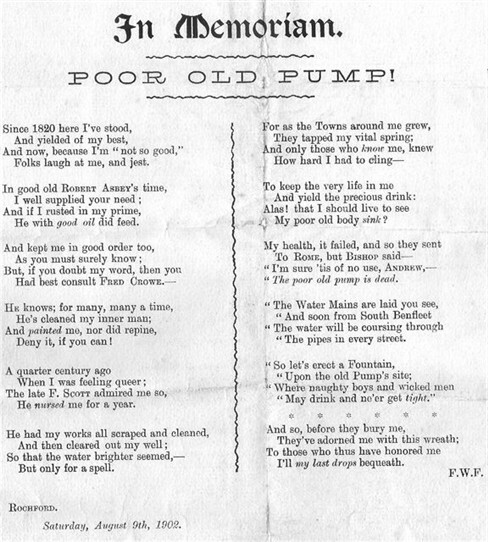 An ode to the parish pump, formerly of Rochford Square. The reference to "Rome" and "Bishop" in this poem is to the building firm, Rome and Bishop, which operated in Rochford at the turn of the last century. This page was added by Helen Barnard on 24/10/2011.